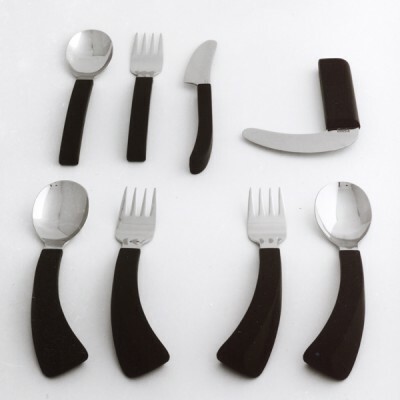 Series of cutlery developed with a focus on people who have impaired function in hands and arms for example after traffic accidents, sports injuries or caused by arthritis, multiple sclerosis , etc. The design of shafts, lafs, blades etc. is based on serious ergonomic studies and selected in order to accommodate the largest possible user requirements with a minimum of pieces . Dishwasher safe . 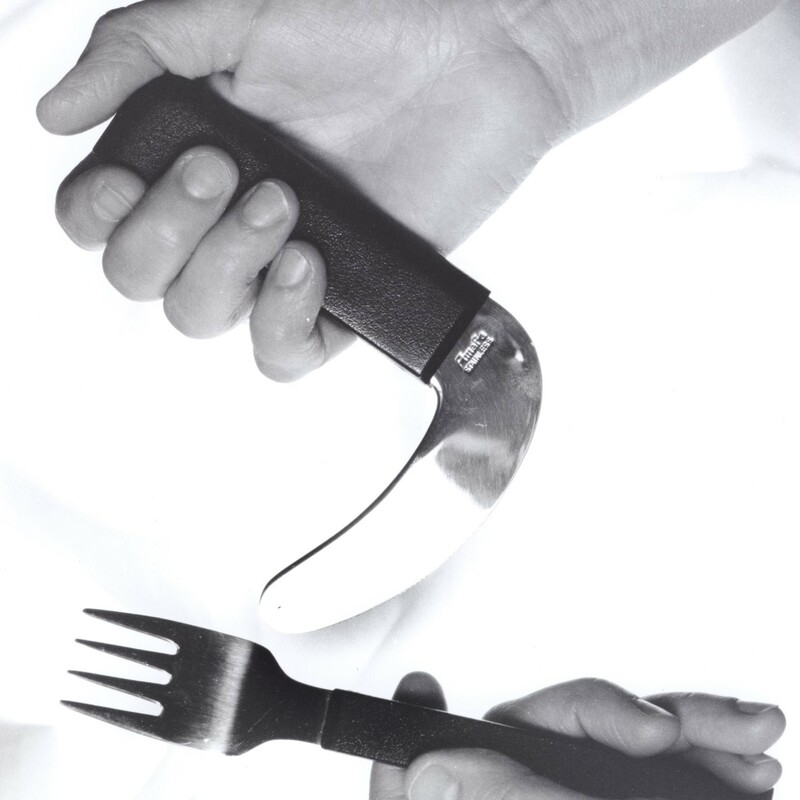 Angled knife protects the wrist, provides the user with more power and makes it possible to tilt the cutting.